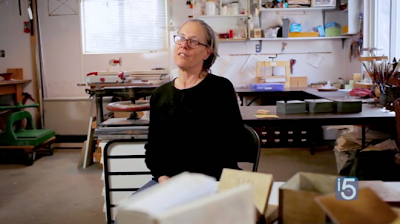 A great feature by Zach Wolfson for Beyond the Gallery on Colorado book artist Alicia Bailey on infusion5 web television. She speaks of books, objects, and time. It's beautifully filmed and Alicia's thoughts on making books are eloquently expressed. Susan, thanks so much for your support and sharing the BTG episode on Alicia! Thanks for making and sharing this Zach. It's beautifully done.